I was lucky enough to receive an invitation to our newest local gallery, 6 Gallery in downtown Lawrence, KS. This gallery has 6-8 shows per year, and each show is centered around a different theme. The first theme is "Thresholds", and I made two pieces for the show. 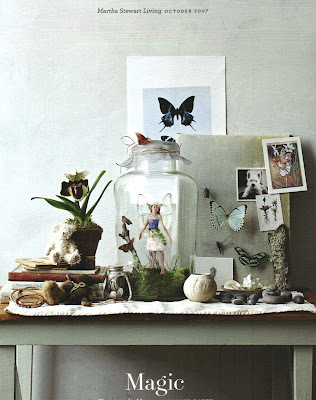 To keep with the theme (threshold means change or new beginning), I incorporated cocoons and chrysalides into two butterfly/moth displays. (for those of you who aren't famaliar with the terms, a cocoon is something a moth hatches out of and a chrysallis is what butterflies come out of, in a nutshell) Big thanks goes out to my friend Fred Gagnon of Magic Wings butterfly conservatory in Deerfield, MA (http://www.magicwings.com/) for providing me with all the wonderful cocoons and chrysalides. Thanks Fred, I couldn't have done it without you! These pieces are for sale exclusively through 6 Gallery until mid-October. After that, you may be able to purchase them directly from me if they are still available. 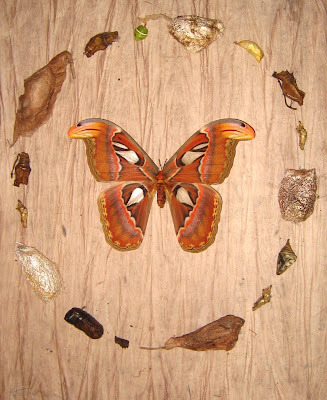 Here is the first piece, made with one Atlas Moth (the largest moth species in the world!) and many assorted cocoons. The piece is rather large in size, approx. 18x24", and is entitled "Circle of New Beginnings". It is framed in a cherry wood shadowbox. 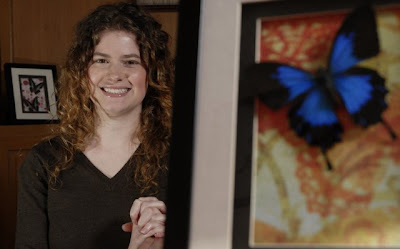 The second piece for this show is made with Morpho butterflies (yes, I got off my high horse and used a few!). Because I feel that Blue Morphos are the epitome of your run-of-the-mill butterfly display, I have stayed away from them until now. Since it is my goal to make unique pieces, I knew I could only use the Blue Morphos when I had a special, unique idea for them. I think they work nicely in this piece. 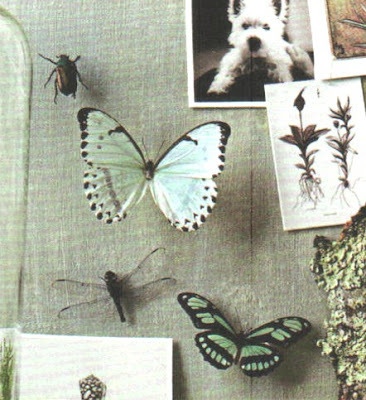 They are placed on hand-painted paper, and various butterfly chrysalides are "hidden" throughout. The title of this piece is "Humble Beginnings Remembered", remininding us that even the spectacular Blue Morpho comes from something that looks rather like a worm. It is framed in a black wood shadowbox and measures about 8x20 inches. Thanks for checking out my pieces, and if you're interested in either of them or would like to see more pictures, please shoot me an e-mail! If Martha loves it, it must be in style! 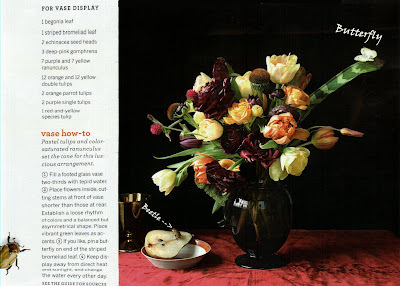 Here's an excerpt from her March 2007 issue of "Living" magazine. 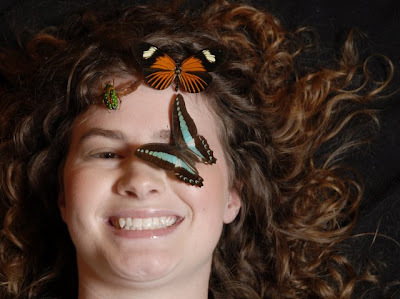 She's referring specifically to insect jewelry, but I think her sentiments could be applied to Insect Art as well! If you have ever been captivated by a butterfly alighting on a thistle or a ladybug meandering along a garden wall, chances are you will adore insect jewelry. 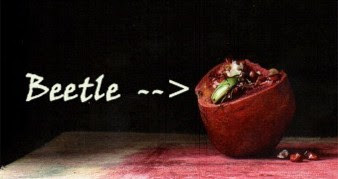 The playful pieces allow you to delight in nature's beauty...without anything buzzing or crawling. 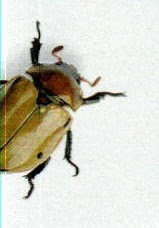 Yet these bugs are imbued with vibrancy and personality, as if they were really alive. 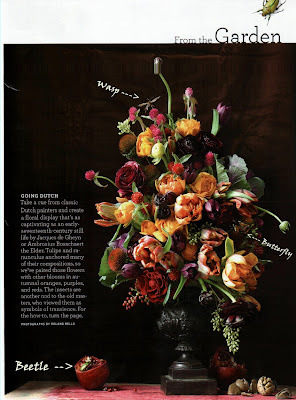 These are several of the traits that prompted Nancy Heckler, a Martha Stewart Living contributing editor, to start amassing insect brooches thirty years ago. "I'm drawn to the whimsical quality of these pins," says Heckler, who displays the creatures on framed velvet panels in her bedroom and wears them often. Her menagerie includes nearly two hundred pieces, many of which appear here, and spans almost a century of styles.Insect jewelry flitted into fashion in ancient Egypt. Flies, mosquitoes, and scarabs were popular emblems for signet rings and necklaces set with stones such as lapis lazuli and quartz.Interest in bug motifs waned in subsequent centuries as religious designs proliferated. 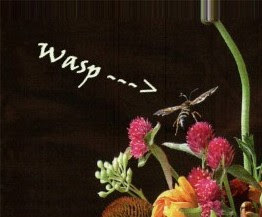 The genre made a comeback in the 1800s after Napoleon I of France adopted the bee as his insignia; the insect soon adorned everything from neoclassical earrings to chokers.During the Victorian era, a romantic fascination with nature led to a swarm of butterfly brooches, beetle hat pins, and fly pendants made from gold filigree, enamel, and semiprecious gems. Around the turn of the twentieth century, Louis Comfort Tiffany and Rene Lalique created bejeweled bug necklaces, combs, and pins in elaborately curved, intertwined designs.The discovery of King Tut's tomb, in 1922, ignited an Egyptian revival that inspired Art Deco-style jewels, including scarab brooches by Cartier. In the next decade, the trend turned toward more fanciful pieces made of colorful Bakelite and Lucite. The 1950s saw a boom in mass-produced costume jewelry: lapel pins, corsage ornaments, charms, and the like.These days, bug accessories are as plentiful as the critters themselves. HeckÂ­ler finds hers at antiques dealers, vintage-jewelry stores, flea markets, and online auctions. Prices vary widely depending on materials, condition, and rarity. Grasshoppers and moths, which are relatively scarce, are more valuable than ubiquitous butterflies and spiders; jewelry by famed designers (Coco Chanel, Elsa Schiaparelli) can cost thousands of dollars. Items in HeckÂ­ler's cache range from a $3 pipe cleaner cricket to a $500 Victorian ivory bar pin inlaid with bugs.To begin your collection, you could focus on a single species of insect. Or you could follow Heckler's approach: Buy whatever catches your eye and brings you joy. Getting bitten by a bug has never been such a pleasure. Hello and Welcome to my new art webpage! 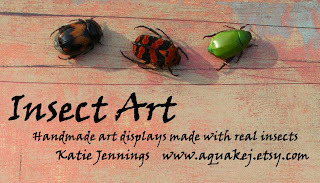 My name is Katie and I have a small business called "Insect Art" in Lawrence, KS. 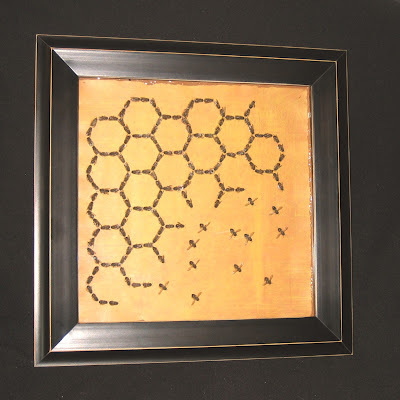 I make framed art out of real, dried insects. I use everything from butterflies to beetles to dragonflies, and the aim of this page is to share my art with you. I began as a simple etsy.com site (www.aquakej.etsy.com), and after eight months there, I felt the need to upgrade. Etsy.com continues to be my store site; it's the place where nice people like you can buy my art. This new, main webpage's goal is to expand on that and to share other art-related updates and photos that can't be incorporated into my store. 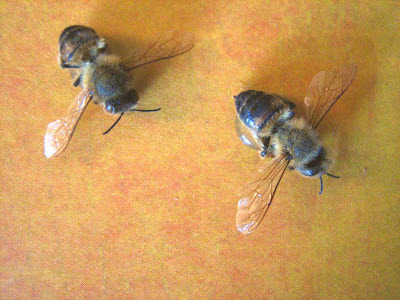 So, without further adieu, please sit back, relax, and learn how I came to be an insect artist! I’ve been fascinated with bugs ever since I can remember. My mom read lots of science books to me, and I was out collecting cocoons and caterpillars as soon as I was able. 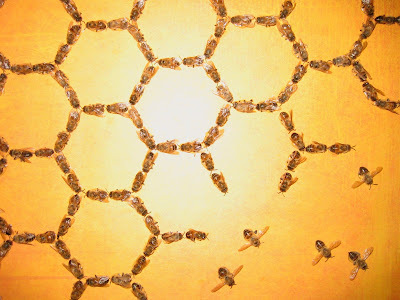 I had several “bug boxes” full of captives, and I spent many hours reading bug field-guides. I used many of the insects I found outside to make my own “closet museum”, which included everything from bird eggs to fossils. When I grew up, I took a class at KU called “The Biology of Spiders”. That class rejuvenated my scientific inclinations. It taught me how to professionally collect and display spiders, and I became very interested in making my own “grown-up version” of the closet museum I had as a kid. It's easy to buy a butterfly mounted on white paper, but I wanted something more, something unique that would be suitable to display outside of a stuffy museum. 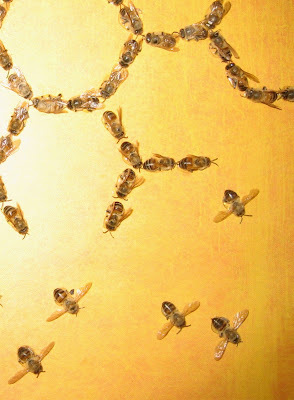 In other words, I wanted an insect display that was also a piece of art. 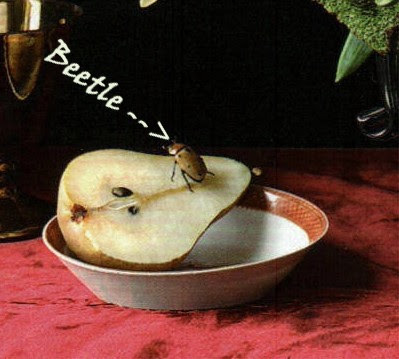 Thus, the concept of Insect Art was born. I found someone who would sell me dead bugs, and went to work making a few pieces for myself. 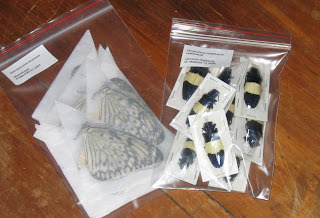 After I had handled a few butterflies, I decided to move onto insects that you wouldn't find in your usual nature shop. After all, who doesn't have a Blue Morpho these days? It’s much more fun to impress your friends with jewel beetles and cicadas that are as beautiful as any butterfly. It’s my goal now to make pieces of art that are unlike anything I’ve ever seen. On a personal note, I feel like, in my own small way, I am carrying on the message of my hero, Steve Irwin (The Crocodile Hunter). His mission was to help the world understand and love creatures that aren't cute or fuzzy. Bugs don't usually fall into either of those categories, but they are beautiful nonetheless, and worth saving. 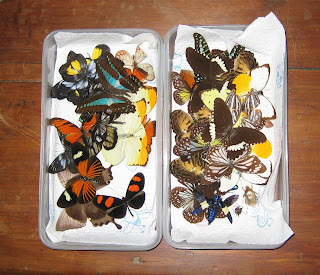 Besides teaching the public to appreciate Nature, the dried insect trade is eco-friendly. Insects are part of a sustainable crop in third-world countries, where people farm or catch them. This trade is much preferable to mining or logging, and gives the people a motivation to preserve natural habitat. I am fascinated by insects and their diversity. There really is something for everyone! I always get a kick out of seeing people's reactions when they find out the bugs I use are real. Some people don't like "bugs", but they say my pieces are beautiful, regardless. That makes my work worthwhile in the end.